The book was first published in 1992. It is still the only authoritative and comprehensive review of Bangladesh archaeology in the context of the archaeology of the subcontinent. The present print bears an update on the more recent development in the field. 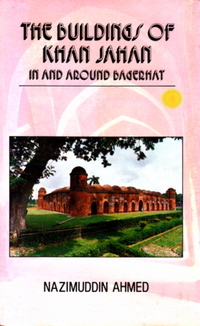 In the context of South Asian Archaeology as a whole, the archaeology of Bangladesh in viewed with general indifference. The iconographic, sculpture, architectural, epigraphic and numismatic data from this area have long been drawing the attention of specialist scholars in these fields, but archaeologically the country is known principally for three sites: 1) Mahasthangarh, a major regional administrative centre of the Mauryas in the third century BC; 2) Paharpur, a Buddhist monastery which was established by the Pala King Dharmapala towards the end of the eight century AD; and 3) Mainamati, which houses more than fifty Buddhist sites (dated between the seventh and the thirteen centuries AD) in a setting of low hills. 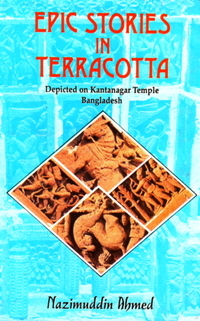 Although Bangladesh has long been known to possess rich archaeological sources especially of the historical periods there is dearth of publications analyisng their scope and detailed pattern. The present volume, based on the researchers of Bangladeshi and other scholars, as well as on the authors own fieldwork and firsthand study of the material, offers a coherent and connected account of the available archaeological knowledge of Bangladesh. 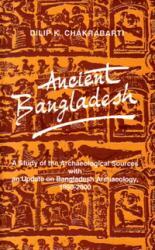 This book contains, among other things, a detailed and original study of the prehistoric and early historic situation in Bangladesh, and points out the wealth and diversity of explored and excavated sites of the later periods. The volume is enriched by a contribution from two Bangladeshi geographers, S. Dara Shamsuddin and M. Shamsul Alam. Dilip K. Chakrabati teaches south Asian archaeology in the Department of Archaeology, Cambridge University. His major publications, besides the present volume, are the following: The Antiquities of Kangra (co-authored, Delhi 1984); A History of Indian Archaeology from the Beginning to 1947 (Delhi 1988); Theoretical Issues in Indian Archaeology (Delhi 1988); The External Trade of the Indus Civilization (Delhi 1990); The Early Use of Iron in India (Delhi, 1992); Archaeology of Eastern India: Chhotanagpur Plateau and West Bengal (Delhi 1993); The Archaeology of Ancient Indian Cities (Delhi 1995); Copper and Its Alloys in Ancient India (co-authored, Delhi 1996); Colonial Indology: Sociopolitics of the Ancient Indian Past (Delhi 1997); The Issues in East Indian Archaeology (Delhi 1998); Bharatvarsher Pragitihas (Calcutta 1999); and India: an Archaeological History. Paleolithic Beginnings to Early Historic Foundations (Delhi 1999). 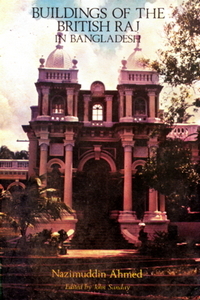 In 1988-90 he was associated with Jahangirnagar University, Bangladesh.